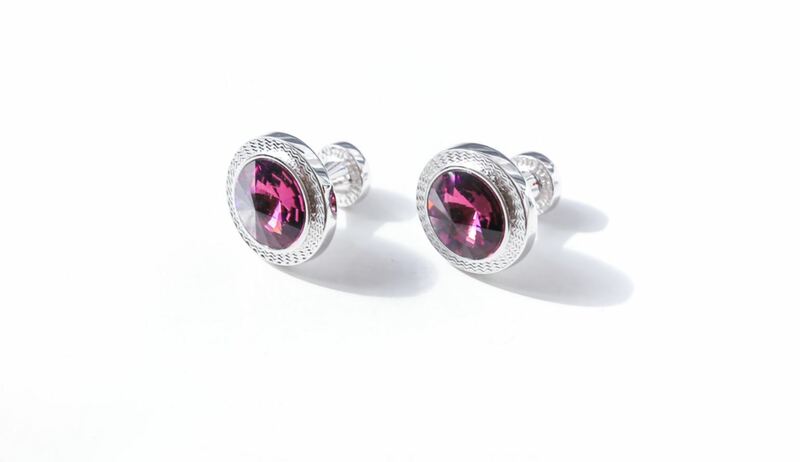 CUFFLINK PURPLE – African Inspired. English Aura. Italian Made. Luxury Men & Women shoes worn by the likes of Hollywood stars Noah Schnapp and Michael Blackson. Shop online for premium exclusive shoes. TOLA is part of our distinctive cufflink range . Featuring a mesmerizing amethyst coloured round cut gem encased by a silver grooving united by a bar link. Perfect with a crisp fitted white shirt. Let the cufflinks do the talking.